You are here: Home>Archive>Iain Cawthorne Collection>Photographs taken by Iain Cawthorne of the designated area of Milton Keynes (c.1970s).>Photograph of Loughton Manor Farm (1971). 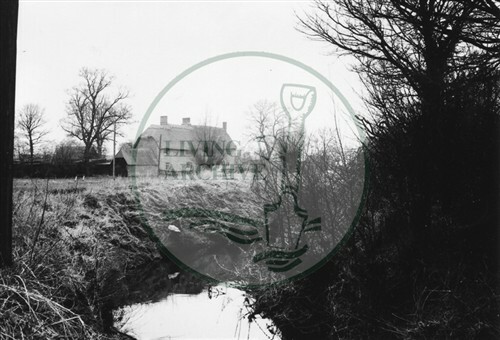 Photograph of Loughton Manor Farm (1971). View is of farm cottages, taken from the first part of The Green, looking across bend in the stream.